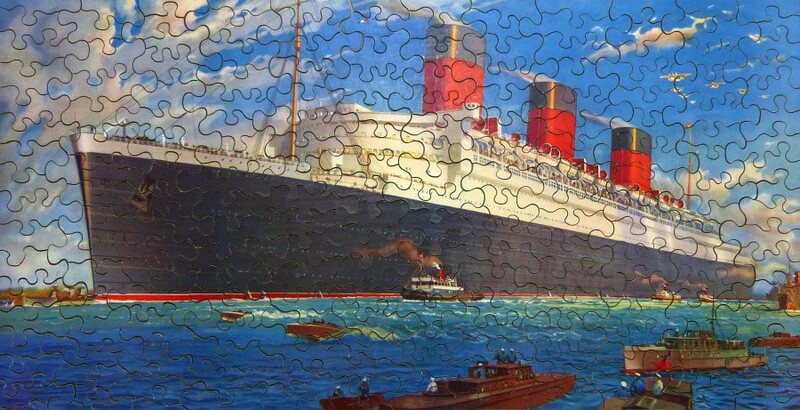 This jigsaw puzzle shows RMS Queen Mary being escorted out of port. It is part of a series of thirty-four promotional jigsaws produced by Chad Valley for the Cunard-White Star Line. RMS Queen Mary was built by John Brown & Company, Clydebank in 1936. She was built for Cunard-Whites Star Liner's North Atlantic crossing, carrying passengers from the UK to America.